By now, you’ve probably heard the news that the Graveyard Fields parking area and trailhead along the Blue Ridge Parkway will be closed for the next 11 weeks while the parking area is expanded and restroom facilities are added. It’s been on just about every news outlet repeatedly, which is why we haven’t rushed to post about it here. If you haven’t heard, the official news release from the Blue Ridge Parkway should convey all you need to know about that project. However, one thing we haven’t seen mentioned is that this gives us a rare opportunity to hike into Graveyard Fields during the warm season without the usual oppressive crowds. The closure only affects the parking area and trailhead on National Park Service land. The trails within the valley itself are all on National Forest property, accessible by a hike even when the Parkway is completely closed (which I frequently recommend during the winter months). This time around, the Parkway itself past the Graveyard Fields valley won’t be closed like it is in winter, but the access point into the National Forest will be. There are a few good routes hikers can use to get into the area, which is connected to the rest of the trail network in the Pisgah Ranger District via the Mountains to Sea Trail (MST). The shortest route starts at the Looking Glass Rock overlook and heads west on the MST. This hike is about 1.7 miles, past Skinny Dip Falls, and up the ridge to the Second Falls trail connector. From that junction, turn left; it’s about 0.2 miles farther to the steps leading down to the falls, with the rest of the valley’s trails straight ahead. (Continuing straight on the MST at the junction would bring you to the Graveyard Ridge trail in just over 0.4 miles, making loop options possible). This route does involve a fairly stiff climb up from Skinny Dip Falls, which should deter 90% of potential fellow hikers from venturing into the valley with you. The other option would be to start where the MST crosses Black Balsam Road (FS 816), which turns off the Parkway 3.2 miles south past the Looking Glass Rock overlook mentioned above (or 1.4 miles past the closure at the Graveyard Fields overlook). Follow the MST northeast, over a somewhat rugged but beautiful segment of the path, for about 1.5 miles to the junction with the Graveyard Ridge trail. From there you have two options: turn right onto Graveyard Ridge and go just under a mile on a level route to the Graveyard Ridge Connector which descends into the valley, or go straight on the MST for 1.2 miles to the other end of the Graveyard Ridge trail. (The connector to Second Falls is 0.4 miles ahead from there). There are also numerous loop options if coming from this direction, including ones that take you over Tennent Mountain and Black Balsam Knob if you’re up for a longer hike. 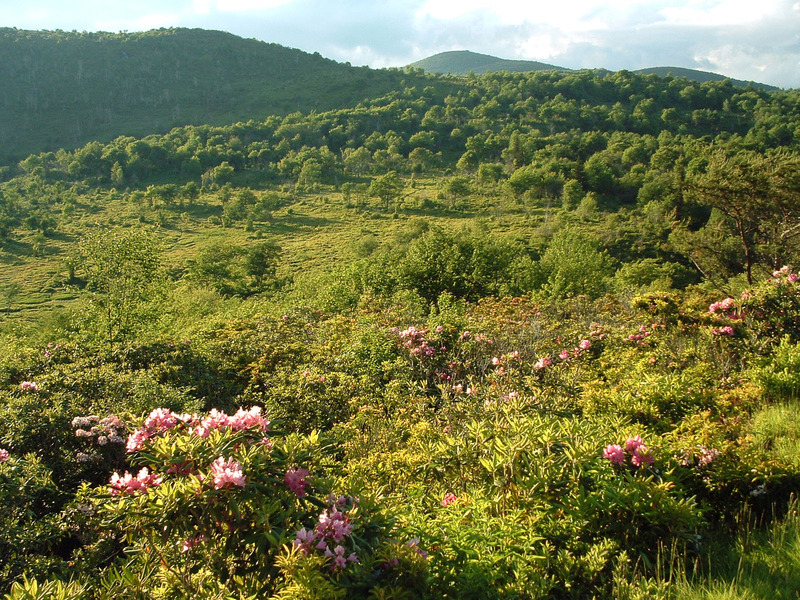 Either route provides its own set of attractions along the MST in addition to the usual goodies in Graveyard fields (like the open areas and waterfalls), so the connections are a great part of the overall experience. Keep in mind that both alternate parking areas can also become very crowded on popular summer weekends, although most people don’t hike very far from their cars. See the Graveyard Fields Map to explore these options in more detail. So while everyone else is grousing about the parking area being closed, hike in to Graveyard Fields the proper way and enjoy a (somewhat less) crowded version of this beautiful mountain valley!